No week is without its challenges, but this week promises sweet, sweet success for those who keep the faith. Let’s get to the reading! LEFT: QUEEN OF PENTACLES REVERSED. If you’ve been working yourself to the ground, get some self-care, stat. This card represents a person who has been so busy caring for others that they’ve forgotten themselves. Another interpretation lies on the other extreme of the spectrum: the reversed Queen of Pentacles can symbolise an insecure mindset that bases personal worth on financial or material gain. Money, status, and fame cannot buy true happiness. this is a lesson the reversed Queen of Pentacles must learn. As a personality, this reversed Queen could be someone who enjoys playing power games for personal gain. I’ve seen this card represent mistresses or third parties in a marriage, as well as unfair/incompetent bosses and abusive mothers. Keep this negative energy/personality as far from you as possible, if that’s how this card plays out for you this week. you are worth more than a fat cheque, a luxury handbag, or a news headline. Don’t debase yourself for material gain. MIDDLE: THE CHARIOT REVERSED. This week, you may be working hard towards a goal but not seeing much progress. The reversed Chariot signifies a lack of direction or a false sense of direction – also known as headless chicken syndrome, where you’re running in circles and desperately hoping to get somewhere, anywhere. The truth is that your Chariot may have overturned. Don’t fool yourself: if a situation has turned into a bit of a train wreck or stalemate, it’s time to step back and assess the reality. There’s no point rushing forward if all you’ll get is the same mess. If a break is what you really need, take one (see reversed Queen of Pentacles). Einstein once famously said that the definition of insanity is doing the same thing over and over again and expecting different results. Evaluate your actions before you push forward again. Sometimes less really is more. RIGHT: THE MAGICIAN. Despite temporary setbacks, all ends well. The Magician is our final Tarot card for the week and is a welcome omen to receive. This card represents personal empowerment, regaining control of a situation, and making magic happen! This calls for faith in the Universe and in yourself, as well as the willingness and ability to be resourceful and creative in crafting solutions. Notice the positions of The Magician’s arms in the picture. He’s depicting the Spiritual Law that dictates: As Above, So Below. This Law powerfully reminds us that we are not alone, and that Heaven and Earth are meant to work in harmony to get things done. For many of you, it could be time to call on Divine assistance to navigate the course towards our greatest and highest good. Heaven and Earth work in harmony for the good of all. Everything is cared for, and growing as Nature decrees. Behold the splendour in all things! All is well. Be grateful to the Divine. When this lot is drawn, trust that Heaven and Earth are working together to bring about the highest and greatest good – even if you can’t see it yet. You may have been working hard and investing great effort in a significant endeavour. You have successfully overcome many challenges and dangers along your path – good on you! What you have done, or plan to do, will be blessed by the Goddess. Divine grace and your own karmic merit will combine to give you the blessing you deserve. Heaven is working on your behalf. Do what’s right and Keep the faith! 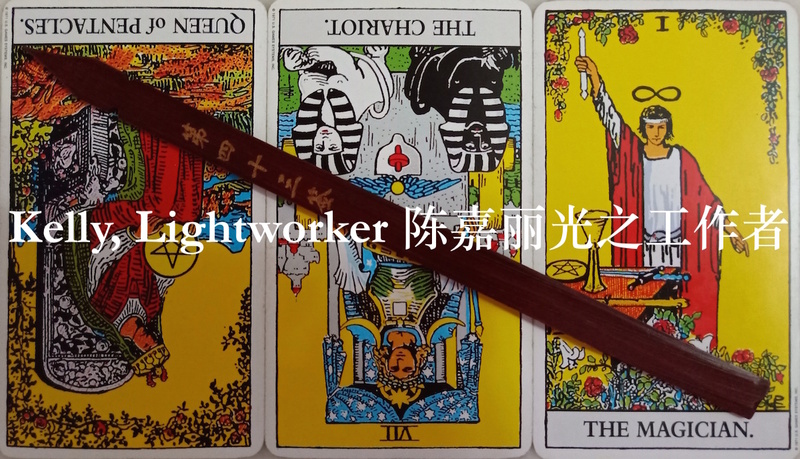 Intermediate Tarot Workshop on 15 December 2018: Sign up now!